Vinous Maps are poster-sized (34 x 22), printed on both sides, and are available in either folded or rolled, ready-to-frame versions. 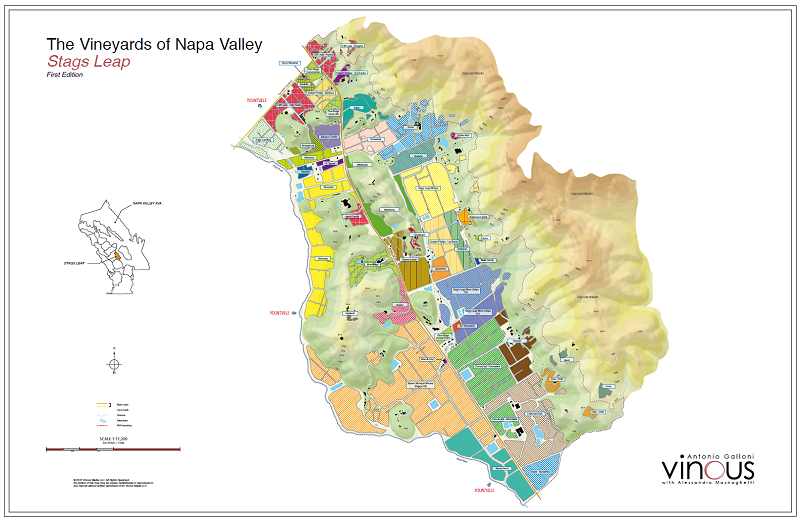 The Vinous Stags Leap Map will begin shipping in October. Shipping within the continental US is complimentary, but we offer a range of shipping options for added convenience. Our Rutherford Map is on schedule for a late September release and will be available at early bird pricing through September 14. Renowned wine critic and cartographer Alessandro Masnaghetti joins Vinous as a key member of our maps team. Italian wine lovers will recognize Alessandro as the author of the most comprehensive maps and books available on the vineyards of Barolo, Barbaresco and many other regions. Alessandro’s work has been featured in numerous publications, including The Wine Spectator, Jancis Robinson’s Purple Pages, Wine & Spirits and Vinous. Kelli White, author of the critically acclaimed Napa Valley Then & Now, rounds out the Vinous Maps team. 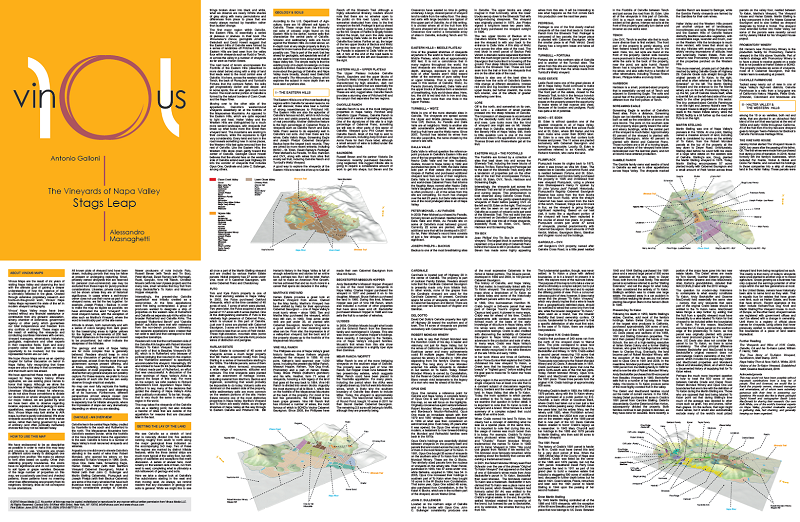 We hope you enjoy the newest Vinous Map.